Many states are now requiring electronic filing of payroll taxes. 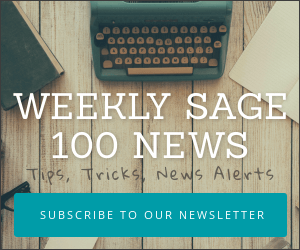 Did you know that Sage offeres electronic eFiling as part of the Sage 100 ERP system? 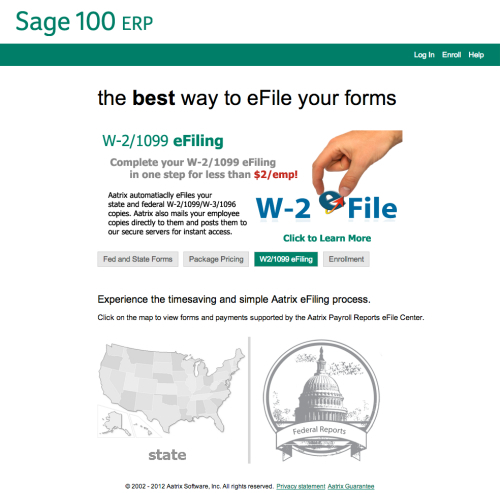 Streamline your tax reporting process with Sage 100 ERP Federal and State eFiling and Reporting. Eliminate manual for creation and save time by choosing from over 250 federal and state forms for Unemployment, Withholdings, New Hire Reports, W-2, W3 and 1099.